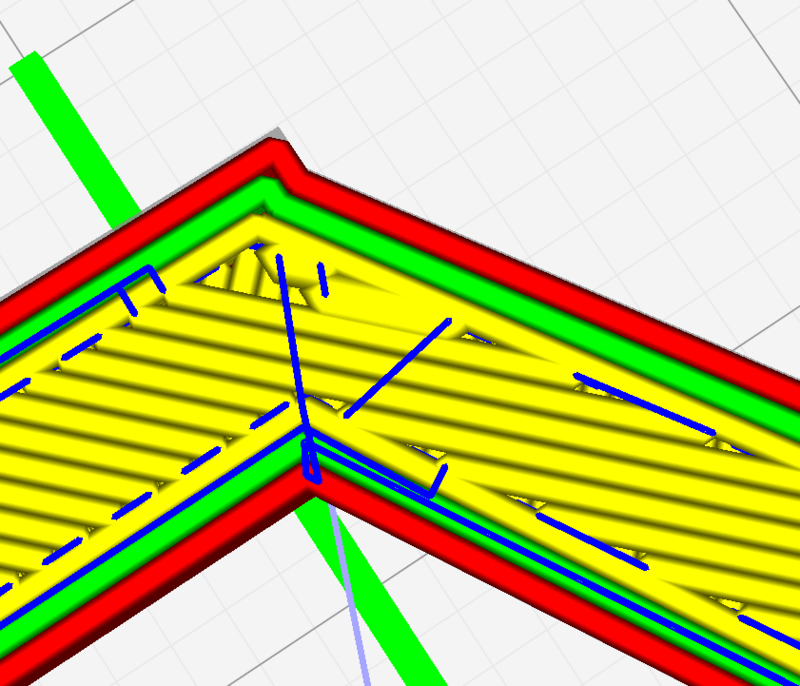 Open cura, select printer, select profile, load model, slice. Every other skin layer has a weird region where the lines are too fat and some lines are missing. The region that is bad is at the start of the skin. Don't worry, it's very easy to reproduce even with a Custom FFF Printer. @smartavionics Also found that in your kossel_xl_extruder_0.def.json, material_diameter's default_value should actually be 1.75 instead of "1.75". OK, thanks a lot for spotting that. @diegopradogesto I couldn't reproduce this with today's master. Do I need to change some settings to make this happen? Shouldn't all the settings be in the project? If you can't reproduce it, let's assume it was a glitch and close this issue, if I find it happening again, I will reopen. @smartavionics Tried with your settings, too. No luck. @diegopradogesto Do you want to have one last try? Try with this project file and see layer 13 for example. I updated my cura+uranium to the current masters and the above failure goes away. Furthermore, I am not seeing the fat skin lines. I vote that we close this issue for now and if I see them appear again, will reopen it. Thanks for looking at it anyway! Hi @LipuFei , well the bug is in the 3.5 beta and is biting people! This is inherent to how the mergeInfillLines works. I don't believe we can improve on this without making it worse in some other situations. We should consider replacing the MergeInfill strategy all together with some new approach.